If you are searching for a table tennis racket, you will soon find the brands DONIC and SCHILDKROET. The concept of both brands is very thoughtful, and bears fruit. The final decision whether a Donic or a Schildkröt table tennis bat is the right choice for you will be made clearer in this article. Have fun reading! 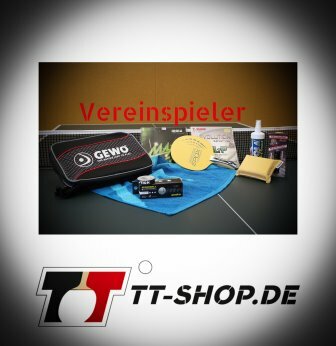 In short: Donic Schildkröt table tennis bats are intended for table tennis beginners. They are also suitable for hobby and recreational players. Many recreational players don´t know that Donic rackets (without the phrase "Schildkröt") are also used by many professional table tennis players. These Donic table tennis rackets are qualitatively superior, and intended for club players. Donic club bats are very different compared to normal hobby bats. But where are those differences? Introduction - What do I need to consider when buying a Donic table tennis racket? Donic Schildkröt or DONIC - Where are the differences? Introduction -What do I need to consider when buying a Donic table tennis racket? What are the most important things to consider when buying a new Donic table tennis racket? The looks? The price? The quality? Particularly beginners are having much trouble when aiming to buy a new (and good) Donic table tennis bat. Trouble emerges because there is a huge range of products, dozens of different brands (whilst each brand claims to be the best), an apparently unlimited number of rubbers and sponge combinations, etc. However, there are some tips and facts which make it easier to find a suitable TT bat for yourself. Regarding bats, table tennis beginners often receive tips and advice from advanced players who are active in a club. However, this can be misleading and dangerous: Advanced players need other bats than beginners do. For beginners, so called allround (All) bats are usually the best choice. With these rackets, all basic table tennis techniques, and gaming orientations, are quite easily learnable. This means offensive, defensive, or allround orientations. On the contrary, advanced players already found their gaming orientation, and they already master basic techniques. Professional players, for example, are usually offensive players. This requires a certain type of bat. In turn, such a bat is highly unsuitable for a beginner. Once a beginner found her/his individual style, rubbers and/or the bat can still be changed and adapted according to the gaming style and orientation. This is because the rubbers and blade exhibit individual material properties. These properties are responsible for the characteristics of the bat as a whole. Hence, by cleverly choosing the components of your bat (blade, rubbers, sponges, but also type of handle, etc.) you can attune your bat to your individual style. If this is done thoroughly, a perfect harmony emerges. As an example, let´s say I choose an allround bat (which is suitable for beginners). Which brand is the best? One thing is certain: Among the well-known brands (such as Joola, Donic, Butterfly, Stiga, Donic-Schildkroet, ...), there is no best brand! 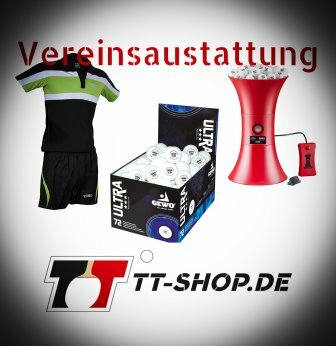 In general, the above mentioned brands exhibit good properties and quality regarding the blades and rubbers, provided you get those products from your specialist dealer or from a good and reliable table tennis online shop. Note, however, that the above mentioned brands only sell the products, they do not produce/manufacture them. You see, the whole thing is pretty much like a grocery store. If you are buying some milk, you´ll know that the grocery store does not produce the milk, it only sells the products. Although the product is the same, one liter (or gallon) of milk can be more expensive in one store, and cheaper in another store. The same applies when buying table tennis products. Renowned vendors always provide all important product details, e.g. material characteristics. Donic table tennis rackets are a trademark (brand quality), and well known for their high quality settings. You see, it makes sense to compare and to exclude products from your research which simply appear to be too expensive. On the other hand, note that very cheap products (e.g. 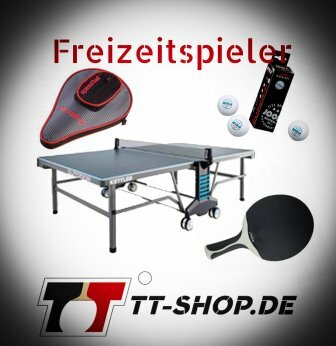 from general big stores) are not adequate for versed table tennis players, and for players who (will) take this sport serious at some point in the future. This is because such cheap table tennis products usually exhibit a poor quality. Often, these bats are identifiable because they are finally assembled already (you buy the bat as a whole, including rubbers), and shrink-wrapped in plastics. The problem is that the assembly of the bat is not done by an expert. Sometimes, this is even done mechanically. Furthermore, such rackets do not provide what blades and rubbers are used, how thick the rubbers are, how sticky or fast, etc. This makes is hard to attune the bat to your individual gaming style or level. So, be careful! This is also true even if you see an imprint of Timo Boll, and the words "professional table tennis bat" on the packaging. To conclude, it is very important to know that there are many cheap a.k.a. "run-of-the-mill" table tennis rackets out there. On the other side, there are also solid and high-quality, and overpriced TT bats. In this sense, there is no such thing as a perfect table tennis bat. It is important to use materials and components of the bat which exhibit a good quality. Also consider the feeling you have when playing/testing. In this context, the looks and feel play a decisive role. Because of the large range of table tennis products, beginners often get into trouble when choosing e.g. a bat. They simply loose the overview, and it is very hard to decide upon a certain bat (or to decide against a certain bat). However, this is very important in order to have fun with your new bat, and to make (further) progress. In this article we want to provide you some tips and hints that will help you to make a decision when buying your racket. Some things which the manufacturer publishes are simply promotion and advertising. Donic Schildkröt offers a large range of table tennis bats. We are sure there is also something for you, just check out the product families. To answer the initial question: YES - Donic Schildkröt table tennis bats are suitable for beginners. Especially when you are planning to start your hobby and recreational career. Starting with the entry-level racket Donic Waldner 400, the range of products goes up until 5000. We can recommend the series 400 to 1000. Starting from the level of above 1000, our own tests showed that -in terms of quality- the Donic Schildkröt bats cannot keep up with the rubbers and blades which can be acquired separately (see our description DONIC table tennis bats). Donic Waldner 500 The Donic Waldner 500 is suitable for players who rely on tactics based on safe and controlled strokes. The focus of this racket lies on control. A table tennis bat (in this case from Donic) is the heart of table tennis sports, and is in direct contact with the athlete. Bats are, however, not only a piece of wood equipped with some rubber on it (By the way: According to ITTF (International Table Tennis Federation) regulations, a table tennis racket must contain natural wood for at least 85%). It is far more, a real work of art, consisting of various layers and levels which are attuned to the gaming properties of the corresponding player. This also includes the handles. Straight handles are preferably used by defenders and material players. The bats can be turned easily. On the contrary, attacking players prefer a handle which remains firmly "anchored" in the hand, and which does not slide. Often, such handles are of a conical, flared, or anatomical (very rare) form. Many cheap or cheaper bats (often completely assembled for instantaneous use, shrink-wrapped in plastic, 5-60 Euro), and many old bats, exhibit varnished handles. This, however, makes them more prone to slide out of your hand. Therefore, such rackets did not catch on considering competitions. Often, unvarnished bats (handles) only develop their full pleasantness after having contact with the hand and its sweat. As already mentioned, the blade of a Donic table tennis racket is not only a piece of wood! It consists of different veneers. Veneers are thin plates commonly made of wood, which are glued with each other. In the middle of the blade you can find the so called core veneer. Around the core veneer, there are the inner or surrounding veneers. Finally, the finishing veneer is located at the outer position. For high-quality and professional table tennis bats, an expert glues the blade. During this, external factors (such as temperature or humidity) are standardized. Also, the gluing itself is performed very evenly, and with great care. In terms of the veneers, so called fineline-veneers are very popular. Those are only 0.5-1 mm thick, and were glued in opposing directions. This results in very homogeneous properties since the whole blade is not warping. Such high quality of the bat is extremely important. Not only directly after buying the bat, but also for a longer period of time! After all, you don´t change the blade as often as the rubbers. Regarding the veneers for the blade, there are various woods used: Hard woods, such as walnut, mahogany, ebony, or beech. Those woods make your blade very fast which is usually preferred by attacking players. However, this happens at the expense of control. For this reason, there are also soft(er) woods used as veneers: balsa, linden, kiri, or poplar. Such soft blades are often used by defensive players because they exhibit much more control, but also less speed. Since it is also possible to combine soft(er) and hard(er) woods within one single blade, the properties of high-quality table tennis bats can be attuned to the players - in a highly precise manner! A positive thing is that the "blank" (still without rubbers) of a Donic table tennis racket has a so called sweet spot. The sweet spot of a bat represents the area considered to be the optimal zone for ball contact. Within this zone, balls behave homogeneously good: They exhibit much control, even acceleration, etc. The bad thing is that the sweet spot cannot be exactly determined. As an approximation, it is located between the middle of the round head of the bat, and the center of gravity of the whole bat. The decision what blade to choose should be well considered. Starting with general considerations in terms of speed and control, the influencing factor weight, and the composition of the veneer are also fundamental, and may lead to discussions lasting for hours. In order to facilitate the research a bit, our overview regarding all Donic table tennis blades may help. This overview can be found HERE. The rubbers of Donic table tennis rackets consist of a surface which is in contact with the ball. Also, there is a sponge support representing the connective link toward the blade. The rubbers are made of rubber materials, whereas the main categories are rubbers with pimples in, out, and anti-table tennis rubbers. Rubbers with pimples in exhibit a smooth surface pointing toward the ball. Hence, the balls can develop much spin (topspin, backspin, ...), and fast rallies are possible. The pimples-in-type is the most common form of TT rubbers. For example, Timo Boll uses such a rubber. Rubbers with pimples out can be further classified into short and long pimples. The first-mentioned type is characterized by a smooth surface pointing toward the sponge, and short hard pimples pointing toward the ball. Such Donic table tennis rubbers are very suitable for players who are having difficulties with incoming serves (they are insensitive to spin). Hence, fast shots whilst exhibiting a high degree of insensitivity toward spin are possible. Long pimples (out), in contrast, show longer and softer pimples. In addition, they are even more insensitive compared to short pimples out. This is because the longer and softer pimples are more flexible. As a consequence, spinny balls coming from your opponent do not jump (drift off) as easily anymore when hitting the bat with long pimples out. At the same time, the ball that is leaving your bat (with long pimples out) is more difficult to predict by your opponent. This is true for the amount of spin. Anti table tennis rubbers exhibit small and short pimples in, toward the sponge (the sponge is usually very thick and soft). The other surface of anti rubbers is directed toward the ball (outwards), and is very hard and rough. This causes the so called anti-topspin effect: The spin is reversed. Incoming topspin balls result in backspin, and vice versa. Anti rubbers are available in different versions, for example, a bit more spinny and fast for offensive players, or slower and with more control for defensive players. Also, a mixture of both is possible, suitable for allround players. As already mentioned, rubbers are replaced far more often than the blade. This can be done by yourself, or by a specialist from an online shop. Hence, you can also compile a bat, order it, and receive it finally assembled. An overview of all Donic rubbers can be found HERE. If you want quality, we recommendyou to get a Donic table tennis racket. If you first want to test whether or not table tennis suits you, we recommend you to get a Donic-Schildkroet bat. These TT rackets are more inexpensive.